On Saturday, Naples' main street was closed. 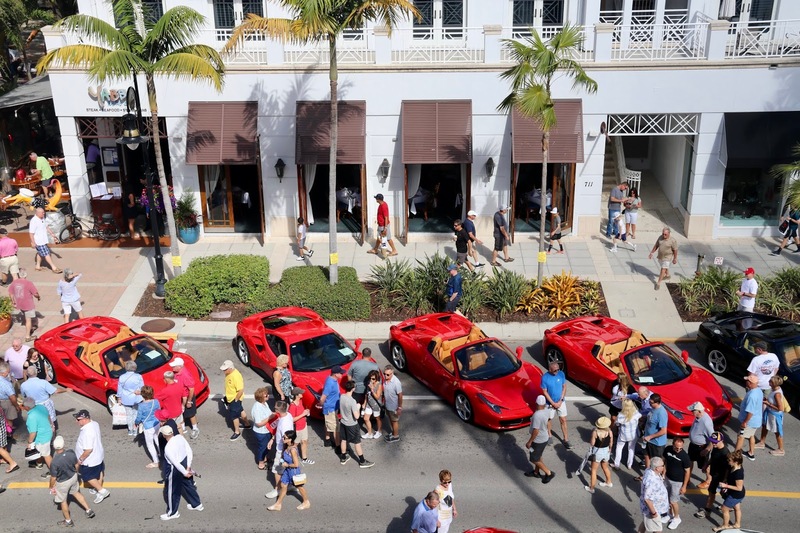 Hundreds of exquisite and expensive cars rolled in. 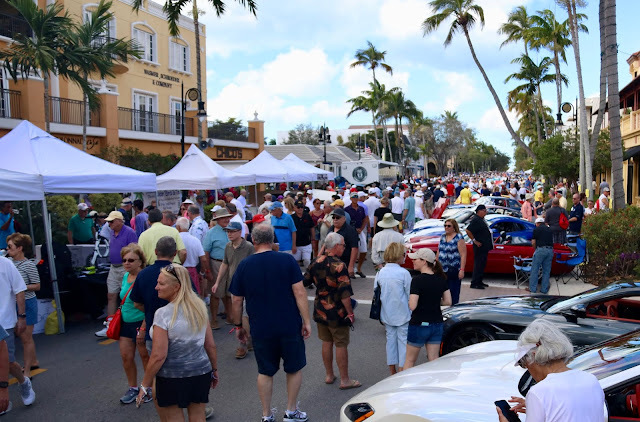 It was the sixteenth annual "Cars on Fifth." It has become so popular that the previously free event now charged $20 per person. Despite that, it was mobbed! I can't imagine the event can be continued. Hundreds of expensive cars at risk of being scratched or worse. 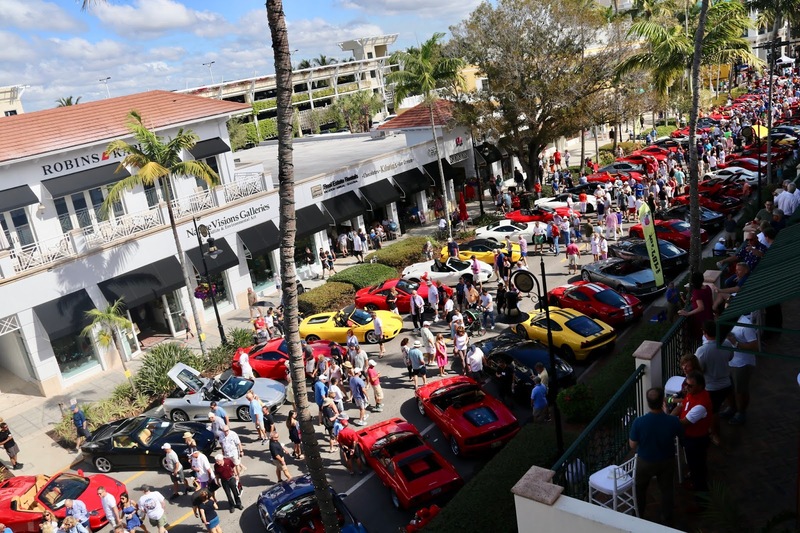 Too crowded to admire specific cars without interference. Time to move it to a stadium or other larger venue.